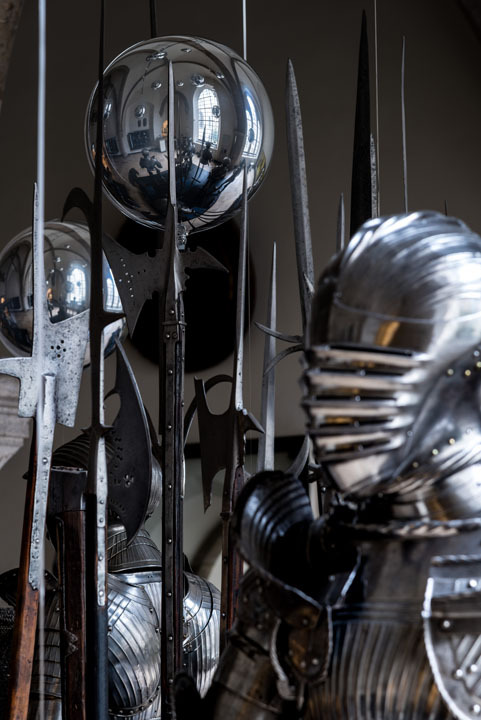 The hall is crowded with groups of medieval knights in metal helmets and armour. 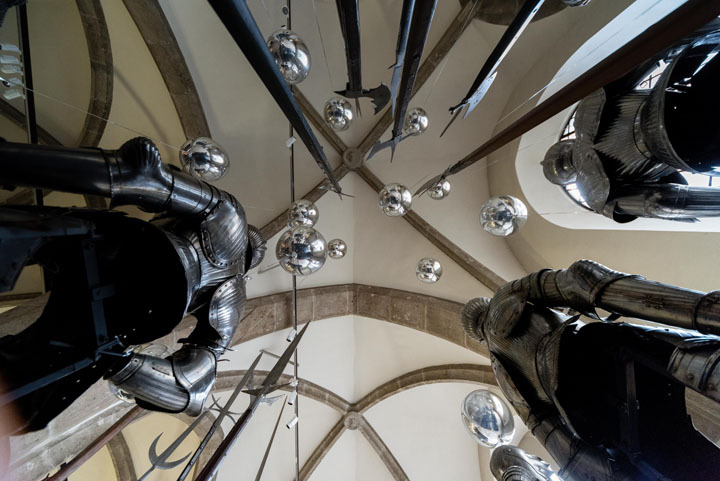 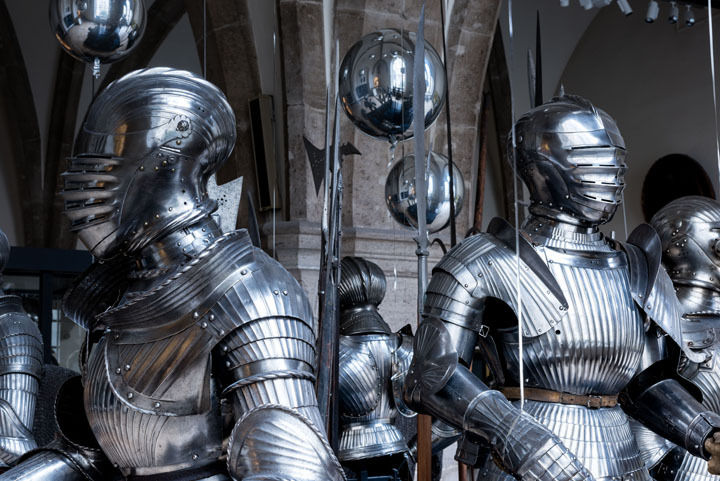 But instead of swords and lances, each warrior holds one or more metallic glittering balloons that float upward to various heights, reflecting in their smooth silvery surfaces the weapons and armor beneath. 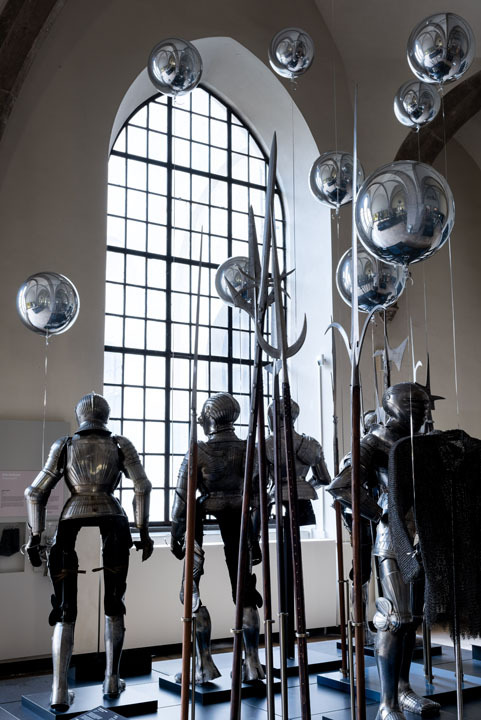 In this work, Christoph Brech succeeds in disarming the medieval soldiers with these balloons. 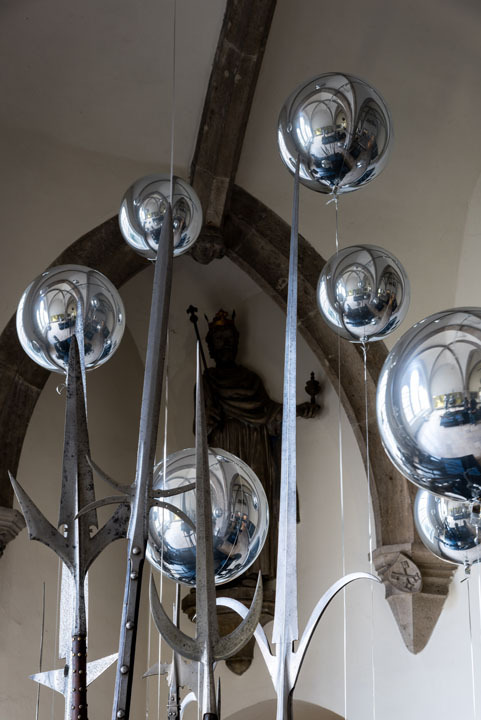 A utopian landscape evolves that will however gradually loose its charm, since the helium with which the balloons are filled will leak and the empty sheaths sink earthwards.